Given the opportunity to perform, Rick Cunningham of RMC Wood Works in Cranston, R.I., exceeds expectations. 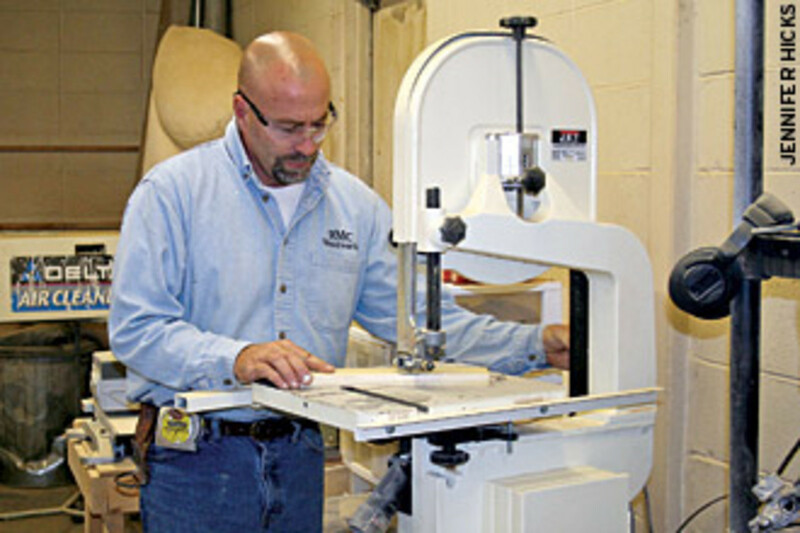 He has a high-energy work level that helps him meet the fast-paced demands of running a one-man custom cabinet shop. 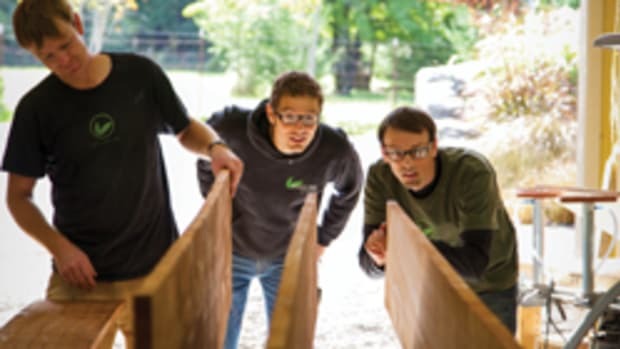 Competition can be fierce, he says â€” not with other cabinetmakers, but commercial shops. His secret to finding success is interacting with the end-user, particularly when going through a contractor. "If I can get through and get to the customer themselves and connect directly with them, people like the fact that they&apos;re talking to the person who&apos;s going to make the project," he said. Cunningham, 43, says there are three things that make a good craftsman: skills, talent and the right equipment. 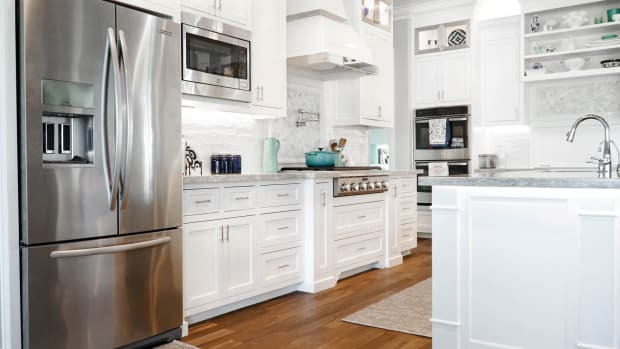 With all of the above, he caters to a high-end clientele throughout Rhode Island, building and installing custom cabinetry, wall units, bar and cocktail centers, bathroom vanities, stairs, millwork and trim packages, and any special requests that come his way. While he&apos;s always done only residential work since establishing his woodworking business 10 years ago, a recent restoration project for a local top-of-the-line restaurant has sparked his interest in the commercial sector. Unequivocally, Cunningham&apos;s clients have come to respect and count on him. However, he still gets nervous before the customer looks at the work. Customers love it, but to him it can always be better. It has to be perfect. Shop size: 2,600 sq. 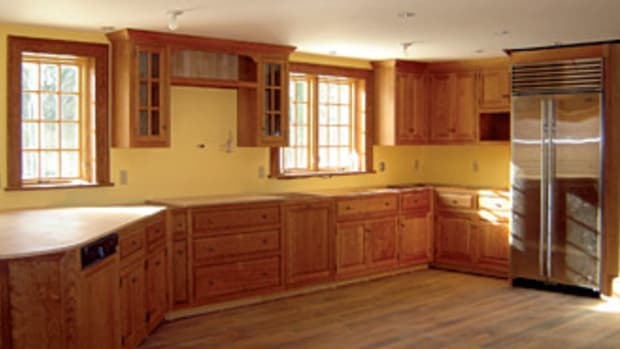 ft.
About: Rick Cunningham builds custom cabinetry and moldings, as well as mantels, stairways and cocktail centers, mainly for residential homes of Rhode Island clients. He recently got his foot in the door at a high-end restaurant, which has sparked his interest in doing more commercial work. Quotable: "There are probably 1,000 of me out there. We&apos;re all just trying to make a living doing what we love doing." The 10th-born of 12 siblings, Cunningham says he gets his strong work ethic from his older brother Bill, who owned a landscaping business when he was younger and agreed to let him earn some spending cash pulling logs out of the woods starting at age 12. He learned to show up for work and do his job and it was immediately instilled that nothing would just be given to him. Even more importantly, he learned that in business anybody can get by doing the bare minimum that&apos;s required, but that you can get farther by doing a better job than everyone else. He&apos;s kept this mentality throughout his entire career. After graduating from East Greenwich High School in East Greenwich, R.I., Cunningham enrolled at the New England Institute of Technology in Warwick, R.I., where he studied building and cabinetmaking. Upon completion of the program in the early &apos;80s, he spent his next 10 years doing residential framing; the first year working for a residential construction company, then as an independent contractor. Cunningham gradually became more interested in doing finer work, not to mention disinterested in working outside in the brisk New England winters. He had always made furniture on the side and made the decision to offer custom woodworking services in 1998 when he opened RMC Wood Works. "I wasn&apos;t really enjoying the other end, it wasn&apos;t challenging enough," said Cunningham. "I essentially wanted do something no one else was doing, and be the best of the best with every piece I do." Initially, Cunningham had few referrals and pictures of completed work, which made early clients apprehensive. But now when they visit his well-established Web site or talk to his other clients, they understand their money will be well worth the investment. Cunningham strategically looks at the demographic areas of his state to find the spots where high-end homeowners might be looking for custom work. Some of the best spots have proven to be South County, East Greenwich and Watch Hill. About three-quarters of his work comes by word of mouth, but local advertising in Rhode Island Monthly magazine has paid off. An average kitchen at RMC sells for around $25,000 to $30,000, and the average wall unit, depending on the finish, sells for $8,000 to $11,000. For the most part, clients understand price, but it&apos;s a tough part of the business. "You can give the exact same price for the exact same wall unit to two different people. One person says great; the next person says you&apos;re crazy. There&apos;s no real way to figure it out. The number&apos;s not going to change no matter who you&apos;re talking to but people&apos;s perception will. For the most part, the clientele that I&apos;m into, it doesn&apos;t affect them that much." Typically, Cunningham has a two-month backlog, the minimum wait time for most of his clients. Of course, he encounters his share of those who don&apos;t want to wait, but understands that sometimes they can&apos;t. Time management can be challenging because clients always want to change something, he says. "The time allotment you have for a project always gets extended, and the next customer may not understand it. But it&apos;s almost guaranteed the next customer&apos;s going to add something and push the other guy off." Designs are usually a collaborative effort between Cunningham and his clients. He has tinkered with design software on his computer, but felt it limited him on certain details. Drawing by hand enables him to detail his master plans with finesse, such as working in that corner cabinet with a laundry chute. 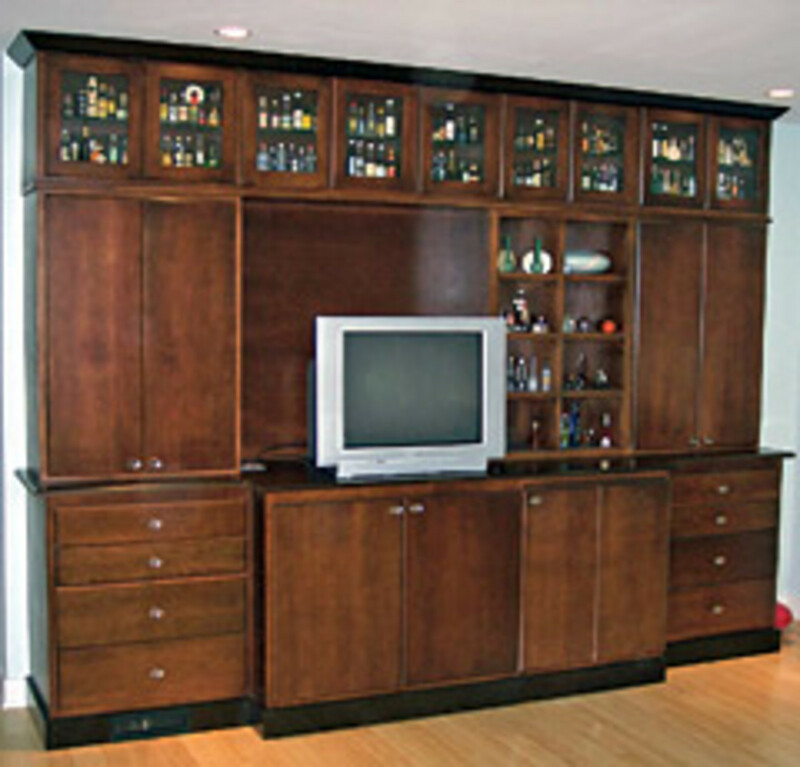 Wall units and cabinets usually feature raised-panel face frames, and other earmarks of traditional New England-style cabinetry. Not surprisingly, Cunningham has seen the most change for wall unit dimensions for accommodating new wide-screen television sets. But the shiftiest trends are in the coloring and finishing categories. People are now gravitating toward displaying natural wood after having everything painted white for years. Darker hues are popular because they exude stronger colors and character, he says. 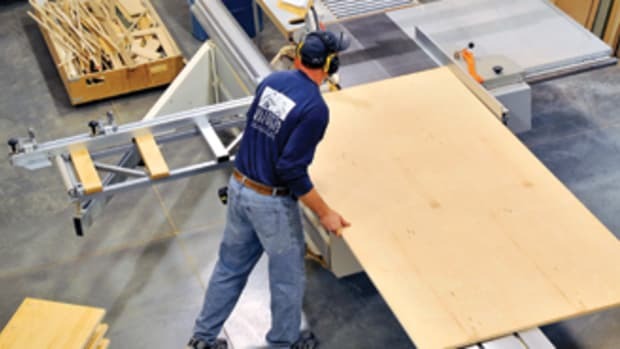 This past year, Cunningham&apos;s golden word-of-mouth reputation bumped him into the commercial sector for his first time as a custom cabinetmaker. In September he completed extensive interior work for a new restaurant, Eleven Forty Nine, in Warwick, R.I.
As any woodworker who&apos;s been through it will testify, the best jobs come when you least expect them. 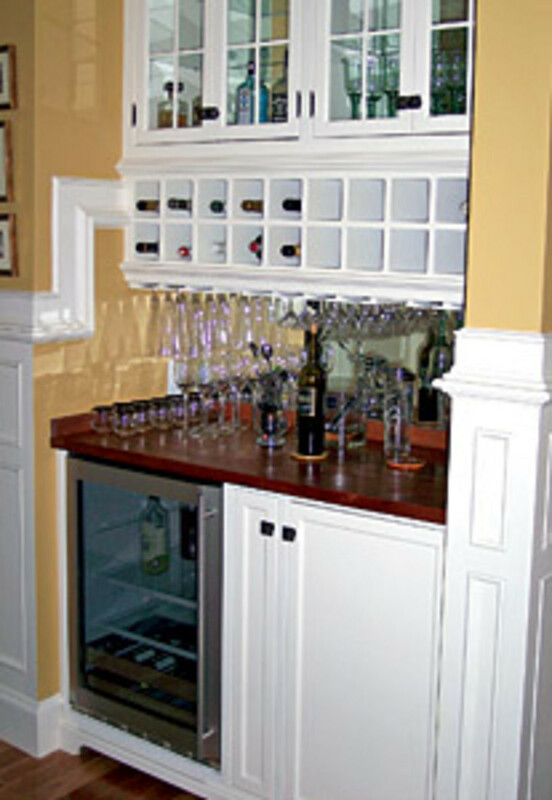 Cunningham had completed a wall unit in a home owned by a family member of the restaurant&apos;s owner, Tim Wright. Wright then called Cunningham for an estimate on the bar and the wine cabinets in the restaurant and gave him the renovation plans that same day. "I looked at them over the weekend and told them there is nothing there for me. It was all commercial case work, and all metal and glass. They called back three days later and had changed all the designs over to wood." The job turned into about four months of work, which Cunningham says was a nice break from his normal routine, and also extremely interesting. It required an inordinate amount of overtime, but was the only way a one-man shop could meet the deadline. But still, if the offer had been for an out-of-town establishment, he would have declined as he&apos;d have to stay away from home to complete it. The owner couldn&apos;t be more pleased with the final product. "It&apos;s just amazing," said Wright. "People comment to us constantly about the quality and the level of his professionalism and his expertise. Rick was a referral over to me and frankly, I met him, was impressed with his professional demeanor, and we went about the project in kind of a collaborative way. He came in and gave his suggestions, and we saw the quality of not only his workmanship but also his energy level and his expertise. It was a no-brainer to just continue with him." The best part of the restaurant, or any job, is the visual aspect of the end product, says Cunningham. "You can make the most wonderful piece for a customer, but all you have afterwards is the picture. The restaurant was neat because I can go back and look at it. I can also send people over there for referrals." Cunningham is now in his third shop, which is 2,600-sq.ft. â€” his largest one ever. 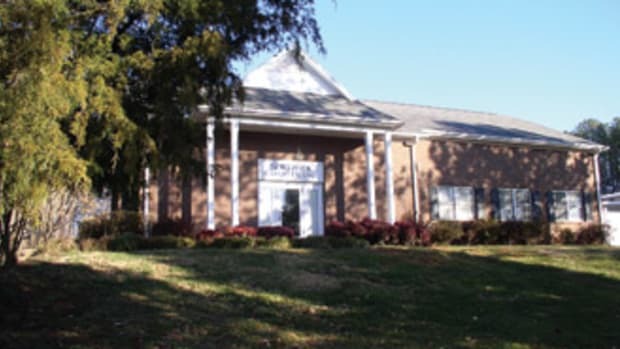 The warehouse-style building is in a quiet neighborhood area only two minutes from his home. The entryway serves as a small showroom, next door to his office. His shop dog, a Goldendoodle named Sasha, waits impatiently to greet visitors. His overhead cost, with utilities, is about $2,000 a month. "Right now, the shop works fine. It&apos;s a little larger than what I need for one person but it&apos;s broken up where it works out very well. The location is good , it hasn&apos;t resulted in the walk-in traffic like I thought it would, but that takes time." To enhance the custom experience, Cunningham welcomes clients who want to visit his shop and watch him work on their projects, and quite often, they take him up on his offer. "I think people want to see it, but unless they&apos;re invited they won&apos;t do it. I love having people stop in. I get to show them the equipment and how it&apos;s made, and again it&apos;s another way they can be connected on what&apos;s being done." His equipment includes a Speedy panel saw; Jet horizontal edge sander, 14" band saw, two shapers and table saw; Shop Fox panel cutter, molder and two air handlers; Grizzly dual drum sander; Ryobi open-end drum sander; Makita sliding miter saw; Porter-Cable pocket cutter, down draft sanding table, drill press, spindle sander and 15" planer; and Delta 6" joiner. 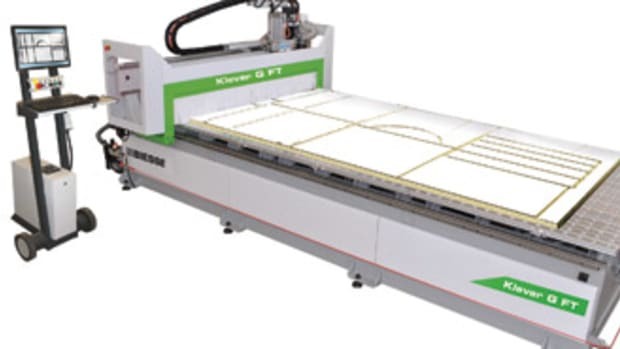 Cunningham has been looking into CNC machinery, and plans to make a major purchase in the next five years. While most woodworkers are rather indecisive about what their favorite tool is, Cunningham knows his. "Oddly enough, it&apos;s the Porter-Cable production pocket cutter for making the face frames. 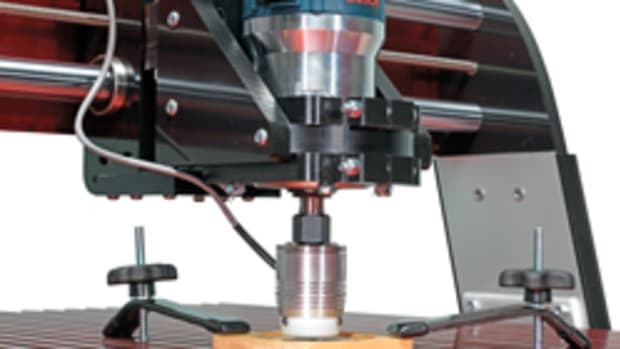 It&apos;s a router combined with a drill that lets me screw the face frames together from the back. It&apos;s probably the most efficient tool I own." A majority of the material used is maple. 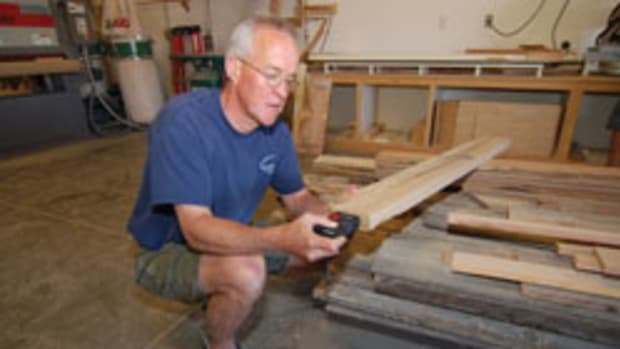 Cunningham says his favorite supplier is Downs and Reader in Stoughton, Mass., which he calls a "woodworker&apos;s paradise." He subcontracts a finisher after letting clients look through his book of samples. Back to earlier years when he was still influenced by his older brother&apos;s independent thinking and entrepreneurial mind, Cunningham admits he became accustomed to delegating work. To this day, he refuses to hire employees on the chance they might break his stride. "I&apos;ve had guys work for me before, and even if you have one extra guy, production doesn&apos;t pick up â€” there&apos;s too much discussion. I go into the shop in the morning, put my headset on and go to work. There&apos;s no talking." Cunningham doesn&apos;t rule out employees completely, but they would have to be a necessity. For now, he relies on family help. His wife, Stacey, does the brunt of the bookwork. His two teenage sons have helped with installation and odds and ends. Things change rapidly in the cabinetry business, and Cunningham has learned he has to stay busy producing a cash flow in between commissions. "The wider the market you&apos;re in, the more power you have to get the money you deserve for it. If you&apos;re busier, you have more ability to stick to your price, rather than lowering it to try to stay busy. The drive-by and walk-in clients are great income gap fillers. They may only want small projects â€” a few extra doors or an added pantry for their older kitchens â€” but it&apos;s work. Cunningham is also putting more effort into marketing whole house interior finish packages, which are larger blocks of work. Still, he likes to be selective. He may just complete a wall unit and someone else will do the rest of the trim package. 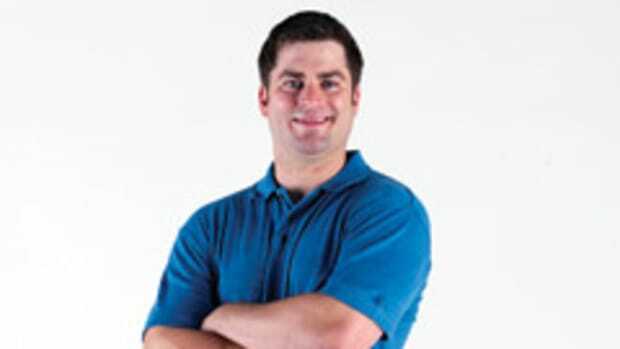 "I&apos;ve got a job in Cumberland, and because the trim is being painted and caulked, the guy is using a lesser-grade quality on the material. But the media unit that&apos;s going into the great room â€” he wants it to look like a piece of furniture â€” that&apos;s where I come in. So I don&apos;t want to get the whole package on that job, I just want to get the finesse work." As for other interests, livelihoods and hobbies outside of woodworking, Cunningham says he has none. However, pictures of his home during popular holidays decorated with countless vintage yard decorations are a tell-tale sign of his e-Bay shopping habit. Nevertheless, he is proud of the fact that his children call him a wood geek. "I&apos;m a workaholic. I&apos;m divorced and one of my ex-wife&apos;s chief complaints was I worked all the time. I also heard it a lot from other people afterwards. But if it&apos;s the worst thing I get accused of, I can live with it. I&apos;m not going to change. I like what I do."